The rapper received a wave of support from artists including Jay-Z and Cardi B.
Rapper 21 Savage was released on bond from Immigration and Customs Enforcement custody on Tuesday, according to a statement released by his legal team. "For the past 9 long days, we, on behalf of She’yaa Bin Abraham-Joseph, known to the world as 21 Savage, have been speaking with ICE to both clarify his actual legal standing, his eligibility for bond, and provide evidence of his extraordinary contributions to his community and society," his legal team Charles H. Kuck, Dina LaPolt and Alex Spiro said in a statement posted to social media. LaPolt, an entertainment attorney and artist rights advocate, thanked activists and politicians who spoke out in support of the rapper. ABC News has reached out to an ICE spokesman but a request for comment was not immediately returned. (Amy Harris/Invision/AP, FILE) 21 Savage performs at the Voodoo Music Experience in New Orleans, Oct. 28, 2018. The Atlanta-based rapper was arrested in a targeted operation by U.S. Immigration and Customs Enforcement on the morning of Feb. 3 in Atlanta. The news came as a shock to fans and caused widespread confusion because it was widely believed that the 26-year-old was born in Atlanta and this information also appeared on his Wikipedia page at the time of his arrest. According to ICE spokesman Bryan Cox, Abraham-Joseph is a British citizen who overstayed his visa after entered the U.S. legally in July 2006. "Long story short, he came in 2005 legally; however, he subsequently failed to deport," Cox told ABC News at the time of the arrest. "His visa expired in 2006 he has been in the country unlawfully ever since." According to his attorneys, the rapper has a pending U visa application with U.S. Citizenship and Immigration Services. The rapper's detention reinvigorated a national debate about immigration and "Dreamers" — some 750,000 young, undocumented immigrants who arrived in the U.S. as children and have met the requirements to participate in the Deferred Action for Childhood Arrivals (DACA) program. And calls to "free 21" came from all corners of the hip-hop world, including Grammy-winning rapper Cardi B, Atlanta rapper T.I. and hip-hop mogul Jay-Z hired an attorney — Spiro — to support his legal team. “The arrest and detention of 21 Savage is an absolute travesty, his U visa petition has been pending for 4 years. In addition to being a successful recording artist, 21 deserves to be reunited with his children immediately, #Free21Savage,” Jay-Z said earlier this week in a statement provided to ABC News. "When She’yaa came to this country he was 7 years old and entering the 1st grade. He was one of many dreamers – of all walks of life and ethnicities – that came to this country to seek a better life and to contribute meaningfully to his community. He has done that. And more," Spiro told ABC News on Monday. "We remain concerned that She’yaa – and many like him – go to bed concerned about being ripped away from their families, even when they are acting in good faith and contributing to our country. That cannot be right. And that is why we decided to help." 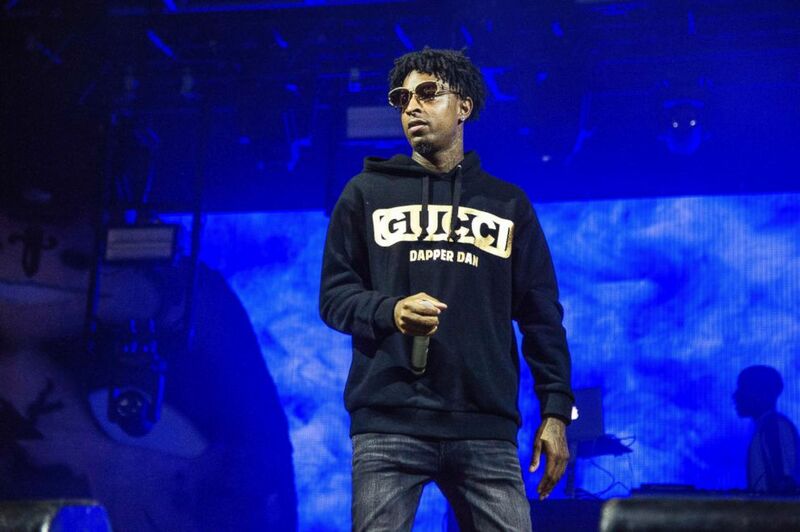 Kuck said in a statement last week that 21 Savage "never hid his immigration status from the US government" and his detention is "a civil law violation" and is "based upon incorrect information about prior criminal charges." "As a minor, his family overstayed their work visas, and he, like almost two million other children, was left without legal status through no fault of his own. This is a civil law violation, and the continued detention of Mr. Abraham-Joseph serves no other purpose than to unnecessarily punish him and try to intimidate him into giving up his right to fight to remain in the United States," Kuck said. 21 Savage released his sophomore album, "I am > I was," in December and is nominated for two Grammy awards this year. He has collaborated with artists like Travis Scott, Post Malone, J Cole, Offset and Childish Gambino. ABC News' Sabina Ghebremedhi contributed to this report.